Located in the heart of Miami Beach atop The Residences at The EDITION is a little slice of heaven with an unparalleled level of luxury. The magnificent triplex penthouse, designed by world renowned architect John Pawson, genuinely embodies both comfort and beauty at its finest. Accessed by a private elevator, this four-bedroom, six-bathroom (four full and two half) penthouse has three stories of sleek, sophisticated design and décor from Interiors by Steven G. The home includes exquisite teak wood floors throughout (including all balconies and terraces), floor-to-ceiling-windows, a custom-made staircase, spectacular light fixtures and chandeliers, and remarkable furnishings, which are also available for purchase. 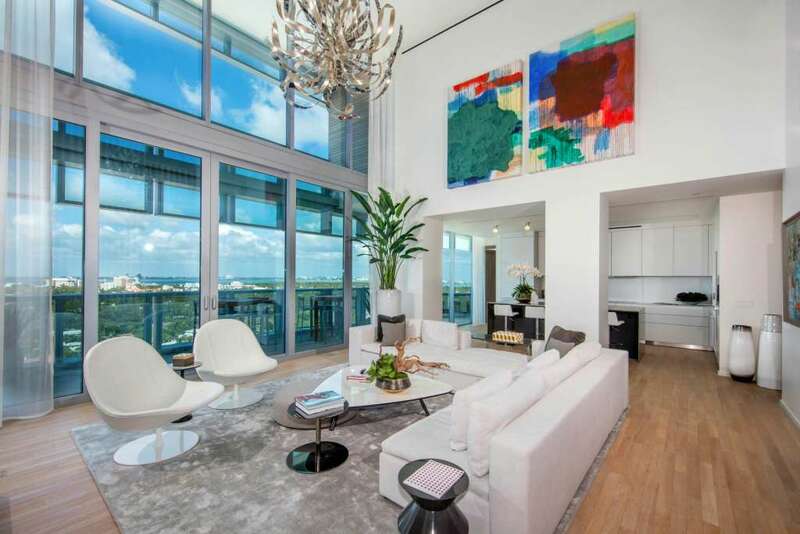 The first floor, welcoming with an open layout, features a spacious living room, impressive 20-foot floor-to-ceiling windows, a separate private dining area, a family/media room, a guest room with a full bathroom, and a gourmet kitchen by Bulthaup with top-of-the-line appliances. 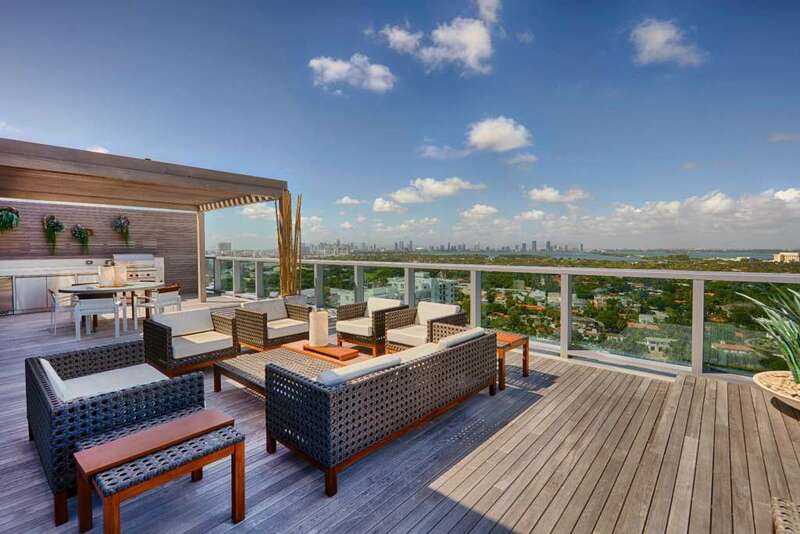 The sprawling terrace with open seating offers spectacular views of Biscayne Bay, Miami Beach, and downtown Miami. The second floor greets with a landing foyer and three superbly designed bedrooms. The oceanfront master suite invites with a fireplace, separate his and hers walk-in closets and a private balcony. Featuring a walk-in double rain shower, dual sinks, and a sunken tub with ocean views, the master bath is truly extraordinary. The two additional bedrooms, sporting impeccable design, offer full en suite bathrooms and share a balcony that overlooks the city and bay. A haven of relaxation and enjoyment, the third-floor private rooftop terrace is one of the penthouse’s most stunning features. It offers open seating areas with a summer kitchen, a covered al fresco dining area, 36-foot lap pool, and unobstructed sunrise and sunset views over the Atlantic Ocean, Biscayne Bay, and the city. 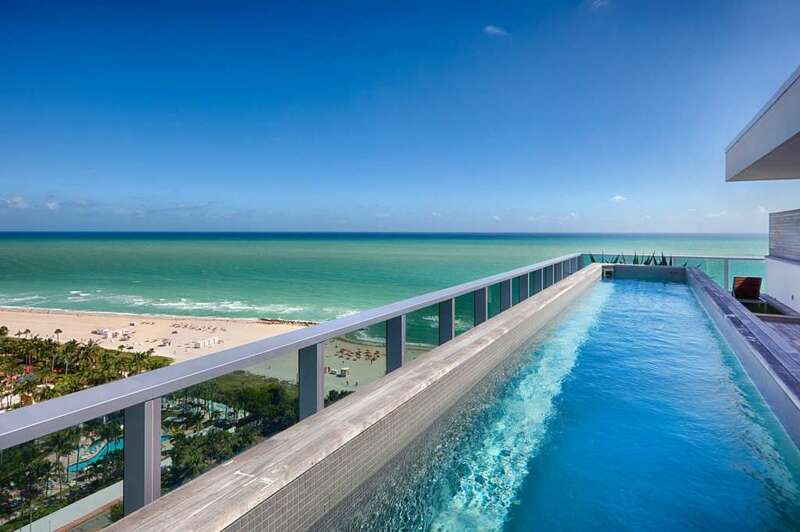 On top of it all, “residents enjoy all the unrivaled amenities of the EDITION, such as a signature restaurant by Chef Jean-Georges Vongerichten, bars, 24-hour room service, spa and fitness, beach and pools, as well as Basement Miami, which features a nightclub, bowling alley, and ice skating rink,” says Jill Eber of The Jills. 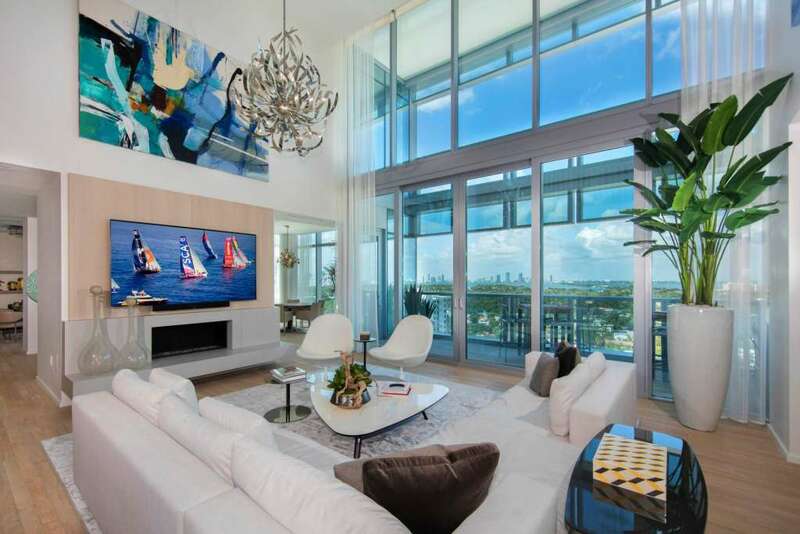 With exceptional direct ocean views, impeccable design, and world-class amenities, the penthouse of The Residences at The EDITION truly is the crème de la crème of condos!